Get a German Silver French Link Bradoon Bit and other French Link Bradoon Bits today made of unmatchable craftsmanship. Your Horse deserves only the best German Silver French Link Bradoon Bit. We are confident that the Horse Bradoon Bits selection we have available are sure to satisfy you. These bits feature 2 1/2'' rings and a 10mm mouth. 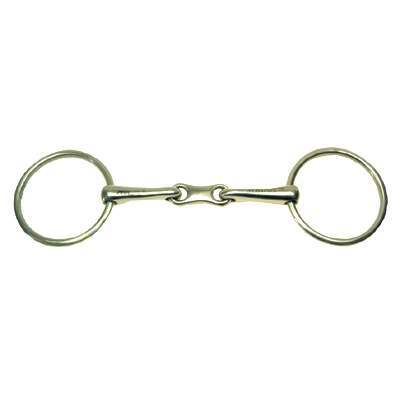 This Bradoon Bit is also made of solid stainless steel to assure you are getting a top quality horse bit that are very durable. As horse enthusiasts ourselves our number one priority is to offer our customers products which we believe are made to last and available at affordable prices.